The Crown is relaxing countryside pub and restaurant serving quality home cooked food, with great drinks and wonderful service. Coped beautifully with a group of 40 with various choices and not one hickup. My colleague and I had a most enjoyable meal in an excellent atmosphere. Thanks very much. Fantastic pub with excellent food and service. Great service and attentive staff. Was very hot in the restaurant. Seats were quite close together. However the food and the service made up for these 2 points. As a gin lover the ‘gin bible’ made my beverage choice difficult but I tried a gin I hadn’t had before and it was delicious. My steak was melt in the mouth and the whole meal was fantastic. Our waiter was very attentive and we left knowing that we would return. Well done team. This was the first time for many many years we have visited the Crown. It was lovely. Clean, good menu choices, friendly staff,  good all round I will happily go back and fully intend to. I look forward to trying out some of the huge Gin collection after reading there Gin Menu. Our first visit, the service was impeccable, her knowledge of the menu was excellent & advice was spot on. Food was absolutely lovely, homemade Pie & Burger were delicious, great menu choice. Certainly be coming again for Breakfast/Brunch, as well as trying Sunday lunch..!! Highly recommend, thank you. The Crown is back to it's  glory days thank goodness. Food is excellent, staff are very friendly, it's always inviting. 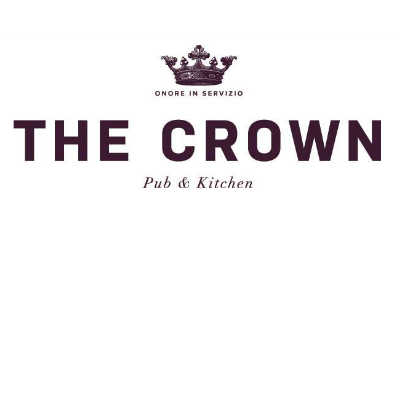 It's great The Crown has a charity, & has some social evenings with or without music and special nights, Steak Night, Burger Night, Processco Night. It was a nice bonus that I found again Iain Solomon known him for along time and he is great with customers. Thank you I would always recommend The Crown in Shillington. An excellent evening with attentive service and lovely food. Excellent service. The best family Sunday lunch in the area. Food ok. Not great service. There was even a staff meeting going on as we left, felt like we had to creep out so we didn’t disturb them. Check your money when you pay up. My friend and I paid the right amount only for a few minutes later the waitress came running out saying we still owed £5. My friend didn’t want to make a fuss so paid up. Excellent lunch! We will be back! We thought it was the best Sunday lunch eaten at a restaurant ever! Great service and environment, thank you!